Despite its other lives as a boxing venue and venue for Bangladeshi wedding receptions, York Hall, in Bethnal Green, is still first and foremost a leisure centre, with a swimming pool, gym and fitness centre. 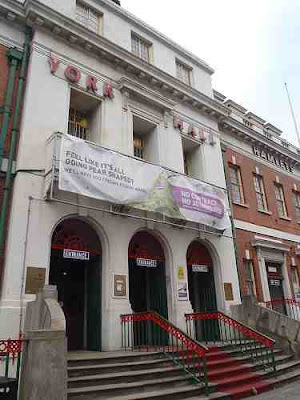 An imposing Georgian building, opened in 1929, it has seen bouts between many great boxers over the years, and also now hosts a mildly controversial spa in its basement, using the Turkish baths installed to serve members of the Eastern European Jewish community who lived in the surrounding area. As readers may have noticed elsewhere, next week, the Royal Observatory in Greenwich is introducing a charge of £10 to stand on the Prime Meridian in Greenwich, whilst currently the experience is free. 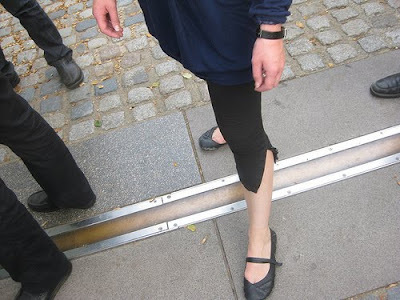 For today, at least, the experience remains free, and whilst the meridian does extend beyond the courtyard of the Royal Observatory itself, this is certainly the place at which it feels most significant. For this is the home of time. The significance of this site dates from 1884, when the Prime Meridian was defined by the position of a large telescope at Observatory’s, which had originally been built by Sir George Biddell Airy, the 7th Astronomer Royal, in 1850. The cross-hairs of the telescope were chosen to define 0° Longitude around the world, as a reference point for astronomical observations and time itself. Your author isn't going to go into the rights and wrongs of charging a tenner to gain access, especially as the courtyard has just become a queue of foreign tourists in recent years, and if you go this weekend at least, you won't have to worry about it either. The 70 acre ancient woodland between Highgate Village, East Finchley and Muswell Hill predates the human habitations that surround it, and is part of the original landscape which made up the London seen by prehistoric tribes and Romano-Britons, whose own presence is evidenced by the discovery of flints and pottery production in the Northern half of the wood. 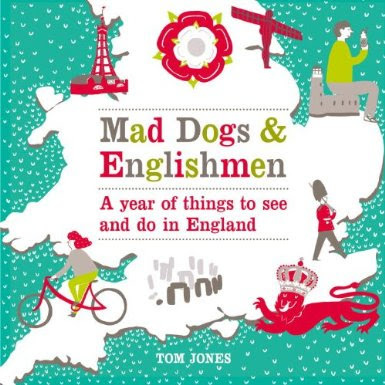 Whilst some may consider it a little early in the year for a woodland walk, your author has it on good authority that now is an excellent time, with the first buds and catkins emerging, some plants starting to emerge on the woodland floor, and the lack of leaves affording good bird and squirrel spotting in the branches above. In medieval times the wood was part of the Bishop of London’s hunting estate, and between the 16th and 18th centuries it was leased in parcels to private tenants for coppicing. By the 1880s, with the last tenant having given up his lease and with the local community fearing the sale of the wood for development as the railways arrived, the chuch made the decision to pass it into the care of the City of London, who maintain it to this day. 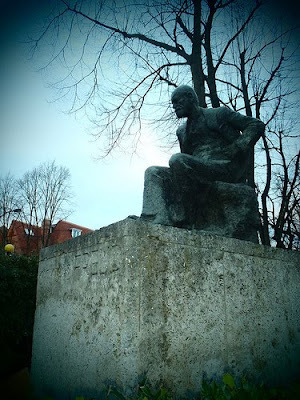 For more on Highgate Wood, click here. If you are looking to work Highgate Wood into a longer walk, you could try this one. 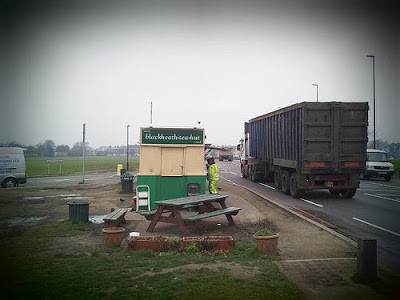 Situated at the centre of Blackheath, right on the side of the A2, the Blackheath Tea Hut is a small hut which serves tea and fresh snacks, cooked to order, 24 hours a day, helping to stave off the hunger of passing motorists and others who happen to be in the area. 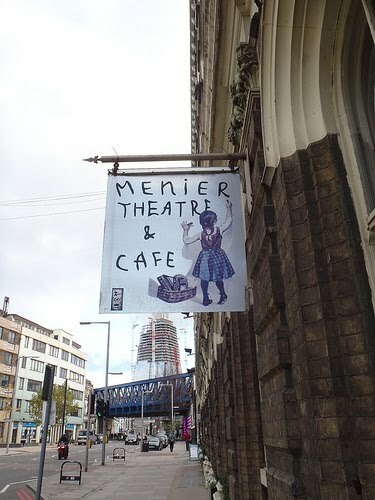 A simple menu of sandwiches, burgers and cakes is lapped up by all comers, and its a real institution in South East London, so much so that its story has even been made into a film. Whilst the hut is apparently involved in a few scuffles with Lewisham Council about the closure of laybys in its area, it still maintains a good trade and provides decent food at reasonable prices. 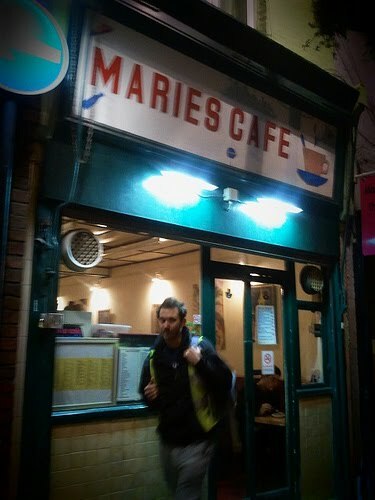 Marie's Cafe, on Lower Marsh beside Waterloo Station, is a fantastic little cafe which apparently serves ordinary greasy spoon fare during the day, and Thai Food at night time. Your author has only ever been in the evening, admittedly rather late on a Thursday, but the Thai food was very reasonably priced and served quickly and efficiently, so he would recommend it. 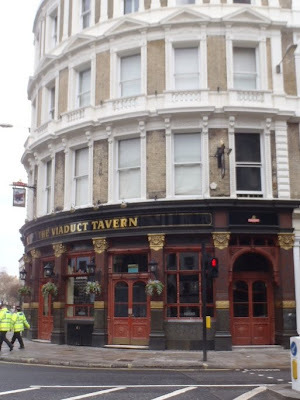 Built in 1869, in the same year that the Holborn Viaduct which gave it its name was completed, the Viaduct Tavern on Newgate Street in the City of London is a fantastic example of a surviving Victorian gin palace. Inside, paintings of three maidens represent banking, agriculture and the arts, one of which was famously damaged by a first world war soldier. 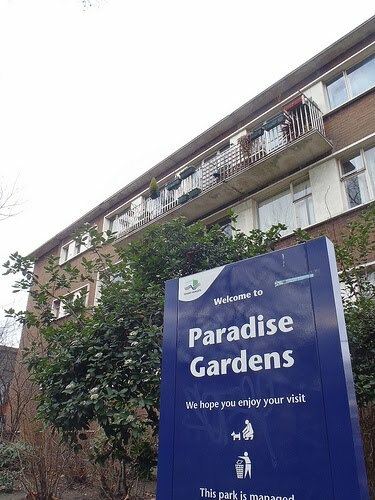 Not quite as poetic as the name suggests, Paradise Gardens is a small area of grass in Bethnal Green, bordered by fronts onto a line of 18th and early 19th century Grade II listed terraced housing called Paradise Row. 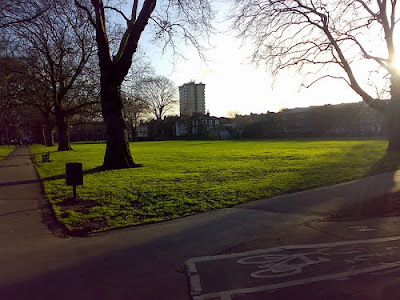 The park was once part of the original larger piece of open land, which was the original Bethnal Green, and now is a rather tired piece of green characterised by a few benches and its proximity to Cambridge Heath Road. For more information, click here to download a pdf. 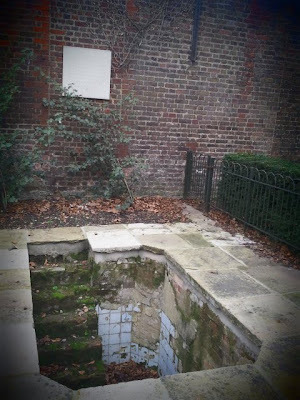 At the Southern end of Greenwich Park, the sunken bath of Princess Caroline of Brunswick, the wife of the Prince Regent, later George IV, is all that remains of the Princess' former home, Montague House. 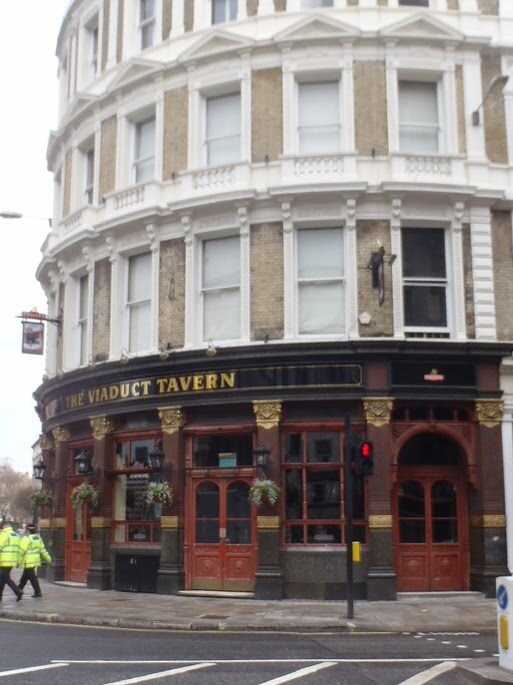 Caroline lived here for more than ten years, banished by a husband who hated the sight of her, and said that she smelled, and the sunken bath was at the heart of an elaborate bath house, which has long since been razed to the ground. 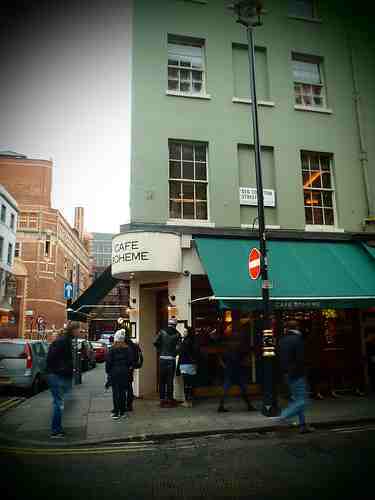 Situated on Old Compton Street in Soho, and operated by Soho House, Cafe Boheme is a pretty little French Bistro which is a very pleasant place to spend an hour or so, escaping from - but keeping an eye on - the hustle and bustle outside. Your author popped in to catch up with a good friend recently, and took advantage of the three course pre-theatre menu for £15.50, and was very well looked after by the excellent staff. It is a very attractive spot, operating in the same location since 1992, and offering Breakfast, Lunch, Dinner and best of all a special 'After Midnight' menu, as well as live jazz every weekend. 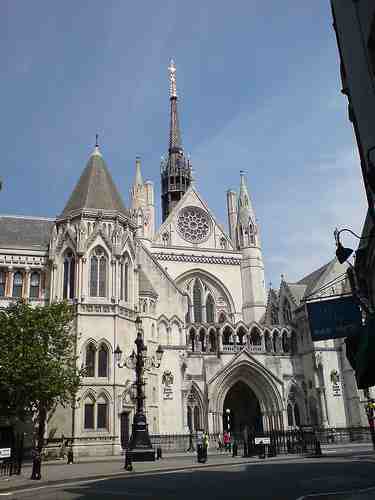 Built in the 1870s, and designed by George Edmund Street, the Royal Courts of Justice is a Victorian Gothic style building on the Strand. 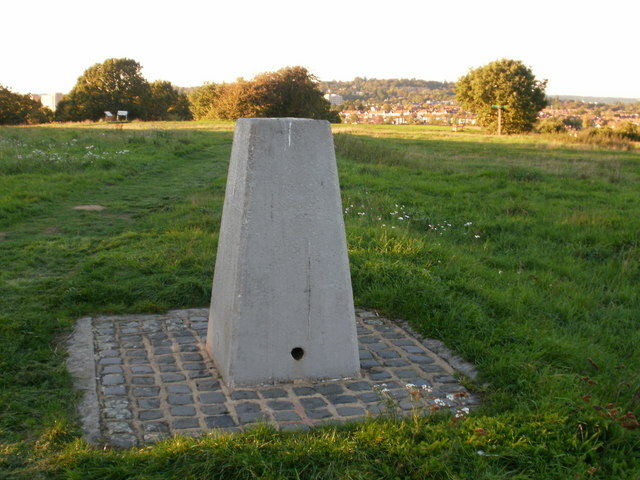 It was built by Bull & Sons of Southampton, and at its highest point is 245ft tall. Accommodating both the Court of Appeal and the High Court, it was built on a six acre campus which cost nearly £1.5m and was previously the site of 450 houses, which were demolished.had to be demolished. The Great Eastern Hotel has now been renamed 'Andaz' by the Hyatt chain, but inside it still has a few original treasures on offer. 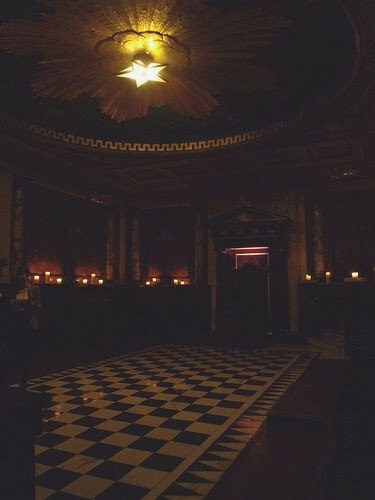 One amazing aspect of the hotel, beside Liverpool Street Station, is the Masonic Temple which exists at its heart, originally hidden from the public, but now uncovered to allow plebs like your author to see inside, and - amusingly - the local Masonic Lodge to hire it out. Your author was taken on a tour of the Andaz Hotel recently, and it has some smart bits, but the stand-out feature for a Londonophile is the Temple, which is worthy of its Grade I listed interior status, fitted out in marble and mahogany. The story which is always repeated, which is a little hard to believe, is that when Terence Conran acquired the Great Eastern, he asked what was behind some big wooden doors. Your author thinks he probably wouldn't have parted with a lot of cash without having someone check out the whole building first, but it all adds to the mystery. 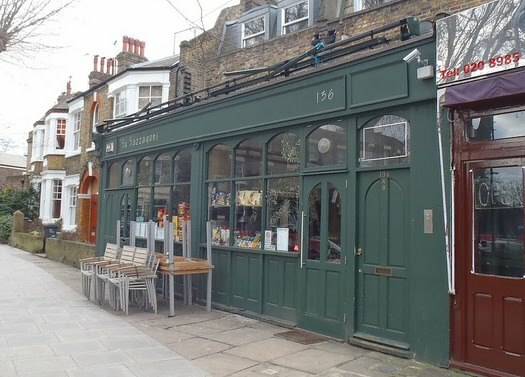 A classic cafe in every sense, E. Pellici's is a celebrated cafe at 332 Bethnal Green Road, E2, which has since 2005 been Grade II listed by English Heritage. The cafe combines a greasy spoon with classic Italian cafe, with pastries and an Italian menu on offer, all served in a space created by carpenter Achille Capocciin in 1946. 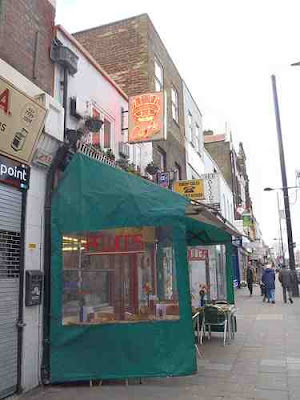 The history of the cafe dates back further than that, however, and it has been run by the Pellicci since 1900, and with the late Nevio Pellicci passing away in 2005, it is now in the hands of Maria Pellicci. Past visitors have included Dizzee Rascal, David Schwimmer, Su Pollard and anyone who has ever been on Eastenders, as well as, obviously, the Krays. 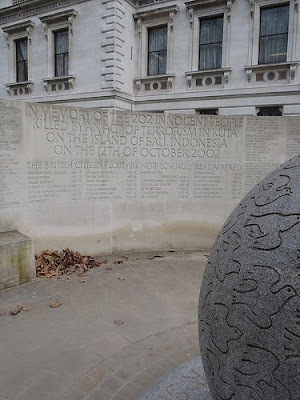 One of London's lesser-known memorials is dedicated to the 202 victims - 28 of whom were British - of the Bali Bombings in 2002. Unveiled by Prince Charles and the Duchess of Cornwall in October 2006, the memorial consists of a marble globe with 202 carved doves, and sits at the bottom of the steps between HM Treasury and the Foreign and Commonwealth Office in Westminster, watched over by a statue of Clive of India. Ordinarily, visitors aren't allowed back into Chelsea Physic Garden until it properly reopens in April, but its Snowdrop Days are a special opportunity to visit in winter. Your author should probably thank his parents and also Diamond Geezer, for reminding him about this. The garden sets out a Snowdrop Trail to allow visitors to browse snowdrops and other winter plants on sale from specialist nurseries, and also serves stews and mulled wine at its Tangerine Dream Café. The garden is open today from 10am until 4pm and entry is £8. For more information, visit http://www.chelseaphysicgarden.co.uk/events/SnowdropDays.htm. Always popular on a Saturday due to its proximity to Broadway Market, London Fields has a long history, dating back to 1540, when it was used to graze livestock on the journey from rural Essex towards the meat markets and slaughterhouses of Smithfields and central London. 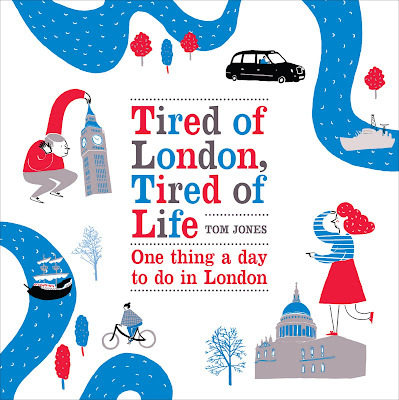 Nowadays, its a much more leisure-focussed affair, with a lido, a cricket pitch, a table-tennis table, tennis courts, children's playgrounds and a number of decent pubs around its edges. It is also the centre of cool Hackney, and continues to attract trendy art kids like moths to a flame. In summer, it is packed with these people, sitting out for whole days in the sun pretending they are very important, but in the winter months it is a more sedate affair, and on a bright Saturday it can be a nice place to sit on a bench and read a book, before returning to the busy market beyond. 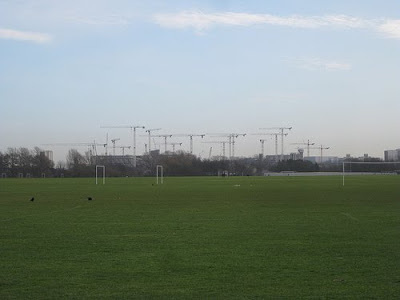 Famous for having more than 60 marked football pitches, which provide the venue for up to 70 amateur football matches each week, Hackney Marshes is an area of grassland - formerly a marsh - which is part of areas of similar grassland which stretch along the River Lee, forming the Lee Valley Park. Originally drained during Medieval times, the site became a dumping ground for rubble from buildings destroyed during the Blitz. Nowadays, it exists in the shadow of the Olympic site, and the East Marsh is set to close for football in May 2011, when it is being tarmacked over to become a temporary coach park for the Games. 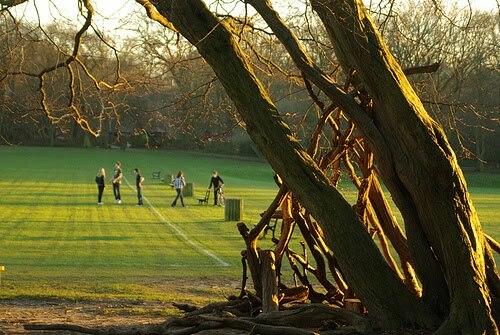 For now, though, it remains the venue for amateur football and nice walks by the river, and should be taken advantage of. God knows how long it will take them to reinstate it, and what state it will be in, after the Olympics. Still in Hackney today, as we take a look at the Kenton, an award-winning neighbourhood pub with a fantastic programme of events and games throughout the week. 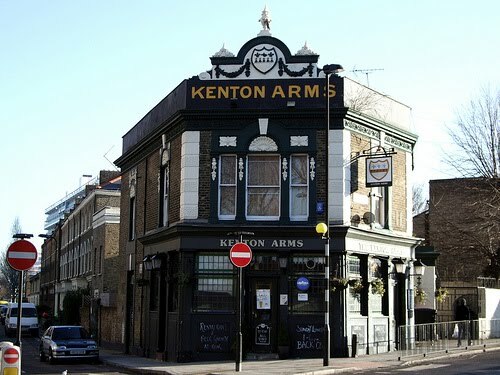 Named “Best Newcomer” in the London Region in the Great British Pub Awards 2010, the pub has a great range of drinks, as well as reasonably priced food (for this area, anyway) and roasts on Sundays. 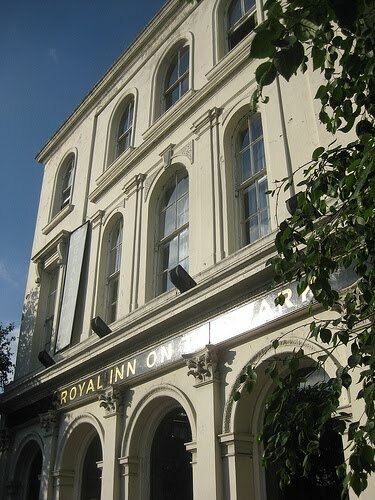 The range of events is what makes the pub stand out for your author, however, with film nights, bingo, live music, DJs and art-exhibitions, as well as a weekly Scrabble tournament. Other specials include reduced price drinks for seniors between 4pm and 6pm on weekdays and a weekly pub quiz. All this, and it is actually a very pleasant place to be of an evening. Day two of Hackney week, and it's time for a look at Bottle Apostle, a fantastic little wine shop, offering all sorts of wines and beers, as well as wine tasting courses, a supper club and other events. 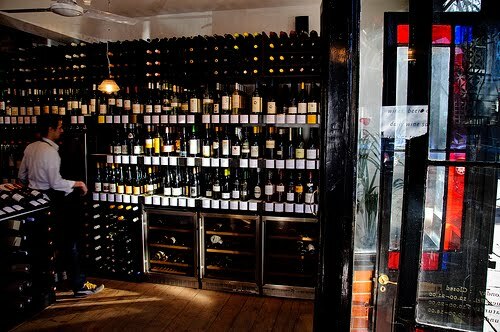 Try-before-you-buy wine sampling is available whenever the shop is open, with a wide range of wines available to taste, courtesy of the shop's self-service Enomatic machines, which dispense wine directly from the bottle (for a small fee of between 43p and £4ish). Upcoming events include a tasting session covering the Fine Wines of Western Australia, an Oyster Night, an introduction to Champagne, and - in May - a six week wine course, which costs £225. They also do beers from Meantime in Greenwich for just over £2 and a decent bottle of Prosecco for about a tenner. The blog is likely to be rather Hackney-centric this week, as your author will shortly be leaving the borough and fancies being self-indulgent, so let us have a look at Su Sazzagoni, an excellent neighbourhood Sardinian restaurant and delicatessen in Lauriston Road, E9. Owned by Elena Sollai, a native Sardinian who came to London in 2007, the restaurant aims to deliver a chunk of true Sardinian lifestyle to East London, and your author thinks it does very well. With a menu that is, we are told, 10% Italian and 90% Sardinian, the restaurant makes fantastic dishes, using vegetables, pasta, olive oil, wines and deli produce imported directly from Italy. 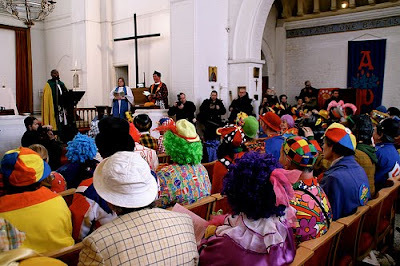 Held every year on the first Sunday in February at Holy Trinity Church in Dalston, the annual Clowns Service of remembrance is dedicated to Joseph Grimaldi, the 'father' of modern clowning. The service also sees the lighting of a candle for any modern clowns who have passed away over the past year, and has taken place at Holy Trinity since St James's Chapel on Pentonville Road, where Grimaldi is buried, closed in the 1950s. The site of his grave is now called Joseph Grimaldi Park. We are told that, after the service, visitors can also take time to examine the remaining collection of clowning memorabilia which is held at the church since Clowns Internationals’ Gallery/Museum moved from All Saints to Wookey Hole Caves in Somerset, and this includes the 'egg register', on which clowns' face-paints are officially recorded on eggs. The service begins at 3pm, but you should arrive by 2pm. For more, see the Clowns International website. 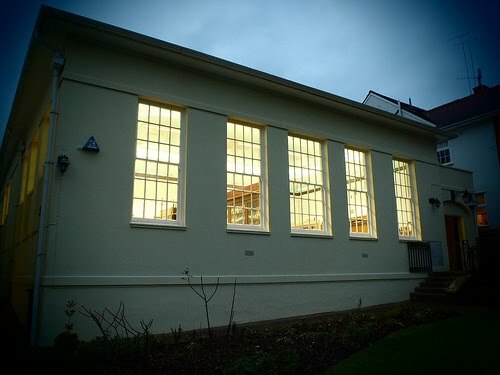 We hear a lot about libraries in the news at the moment, with reductions in hours and volunteer staffing looming large, but for now the Heath Library, in Hampstead is open every day except Wednesdays, as it has been for some time. Situated in a 1930s building in the garden of Keats House, where he wrote 'Ode to a Nightingale', which is now a museum to the poet, the library has all the usual staples. Here you can borrow books, CDs and DVDs, read the newspapers and magazines and use internet and Wifi free of charge. Pretty standard stuff, really, but its a nice setting and especially handy if you get caught on the Heath in a shower. For more information, click here. 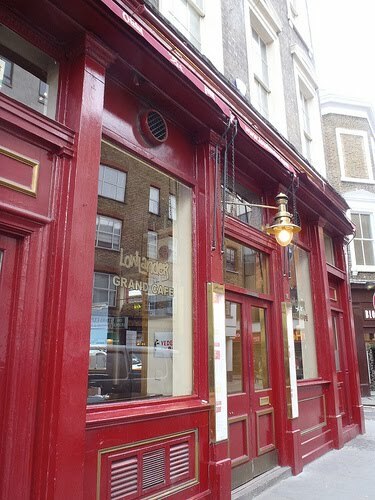 Styling itself as London's premier Belgian Bar and Brasserie, the Lowlander Grand Café is a reasonable place, opened in 2001 on Drury Lane, and drawing upon the theatreland and Covent Garden crowds. The inside is very pleasant, with plain tables and all sorts of country-themed wall-tat. It is a relaxing place to spend an hour or so, as long as you get there early and get a table before the crowds start. And if you want to enjoy the beers in a more relaxed environment, there is always home delivery. As an Englishman, it always annoys your author when he has to order drinks by table service, but here is is probably part of the theme, as that's what its like in Belgium and Holland. However, with all these imported beers you have to keep an eye on your tab, if you don't want a rude awakening at the end of a sitting. Unlike Diamond Geezer, your author is open to occasional onslaughts from PR bods, especially when he gets to see things he might not otherwise. So, the other day he took up an invitation to take a tour of the Hendrix Suite at the Cumberland Hotel. The suite was unveiled in September to pay homage to the famous guitarist, who stayed in at the Cumberland shortly before his death in 1970. To be honest, the result is a little odd. 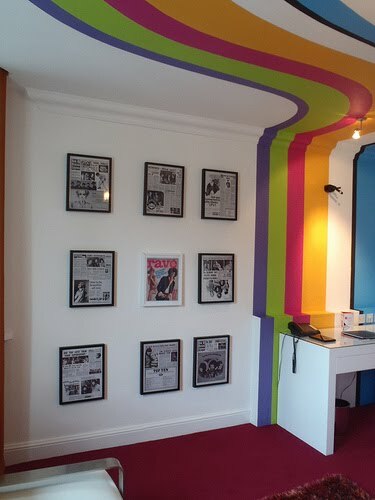 Billed in a carefully-worded release by the PR company as 'the famous Jimi Hendrix suite at the Cumberland Hotel, Marble Arch, once Jimi Hendrix’s luxurious place of residence', it turns out that Mr Hendrix never actually stayed in this room, just another on the same floor. So, there isn't very much history and some designers have installed a range of very garish décor, which is supposedly reminiscent of the Hendrix era. However, the suite does overlook Oxford Street, and is light and airy with two bathrooms. 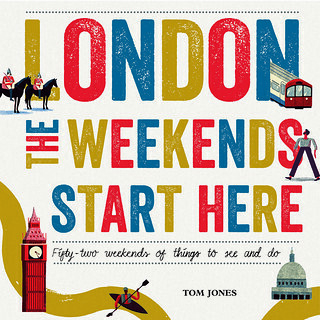 It will certainly appeal to some, even if the price tag of £399 a night (according to the Telegraph) is reasonably high. If you fancy giving it a try you can even win a night at the hotel by entering a competition before 15th February. To visit the competition page, click here. 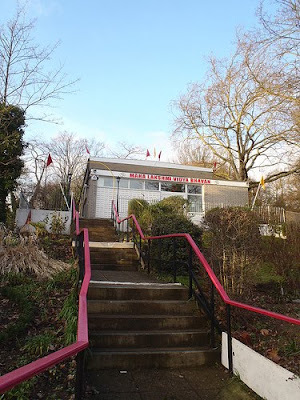 Meeting in a Mandir which opened on 9/9/1999 in Honor Oak Park, by a group of Hindus who had been meeting in South East London since Diwali 1982, the Maha Lakshmi Vidya Bhavan is a Hindu temple which backs onto One Tree Hill. They formed to promote and uplift Hinduism in the United Kingdom, and they also offer weekly Yoga classes from 7.30pm until 8.30pm on Tuesdays. Led by Kate Mckenzie, they are designed to ensure spinal alignment, physical co-ordination, enhancing muscle strength and general suppleness, and apparently demonstrate the physical and mental benefits of this ancient technique of the union of the mind, body and soul. Your author has never been, but the temple is very attractive, and the musical website is very relaxing. However, it is unclear whether the next class is tonight or next week, so be sure to check before travelling. For more information, visit http://www.mahalakshmi.net/ and click on education.